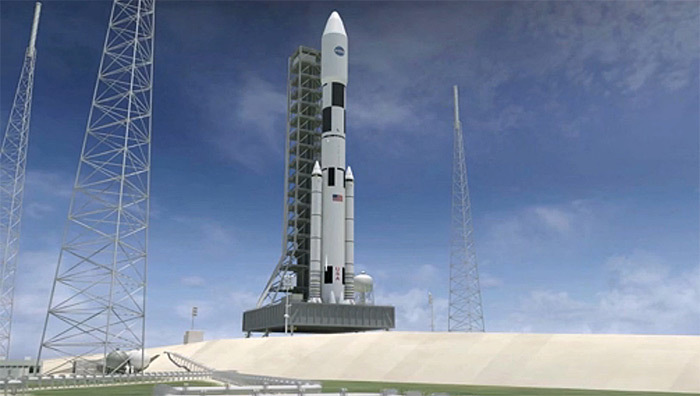 Dan Dumbacher of NASA and John Strickland of the National Space Society are having an argument over the Space Launch System. Unfortunately, both gentlemen are missing the point when it comes to space transportation. 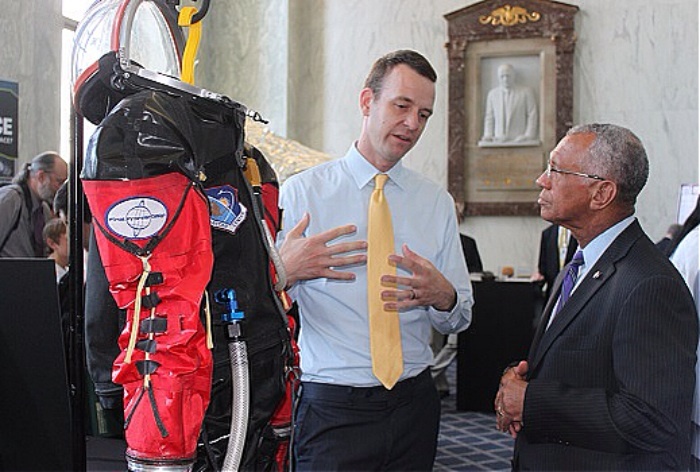 Brooklyn-based Final Frontier Design unveiled its new 3G space suit at a NASA event on Capitol Hill. Final Frontier Design was chosen by NASA to represent small businesses at Tech Day on the Hill (Tuesday, July 23), which was attended by 16 members of Congress and over 500 staff and guests including NASA Administrator Maj. Gen. Charlie Bolden (USMC-ret.). Citizens in Space, a project of the United States Rocket Academy, has announced the selection of its fifth citizen-astronaut candidate. Informal educator and aerospace historian Greg Kennedy will join four other citizen-astronaut candidates who are training to fly as payload operators on the Lynx spacecraft, currently under construction by XCOR Aerospace in Mojave, CA. XCOR expects to begin Lynx test flights later this year. Greg Kennedy is currently director of education at NASTAR Center, a leading provider of spaceflight training for commercial vehicles, in Southampton, Pennsylvania. Previously, he was associate curator for manned spaceflight at the Smithsonian Institution’s National Air and Space Museum in Washington, DC; director of the Frontiers of Flight Museum in Dallas, Texas; founding director of the American Airlines C.R. Smith Museum in Fort Worth; executive director of the Space Center in Alamogordo, New Mexico; executive director of the Mid Atlantic Air Museum in Liberal, Kansas; and executive director of the American Helicopter Museum in West Chester, Pennsylvania. “I am proud to join this program, which is providing everyday citizens with ground-breaking opportunities to participate in space science and space exploration,“ said Greg Kennedy. Kennedy is a noted aerospace historian whose books include Touching Space: The Story of Project Manhigh, Apollo to the Moon, The First Men in Space, Rockets and Missiles of White Sands Proving Ground, and Vengeance Weapon Two: Germany’s V-2 Rocket. He was also a co-author of The Space Shuttle Operator’s Manual and Rockets, Missiles, and Spacecraft of the National Air and Space Museum. Kennedy is a qualified spacesuit technician and commercial spaceflight instructor. 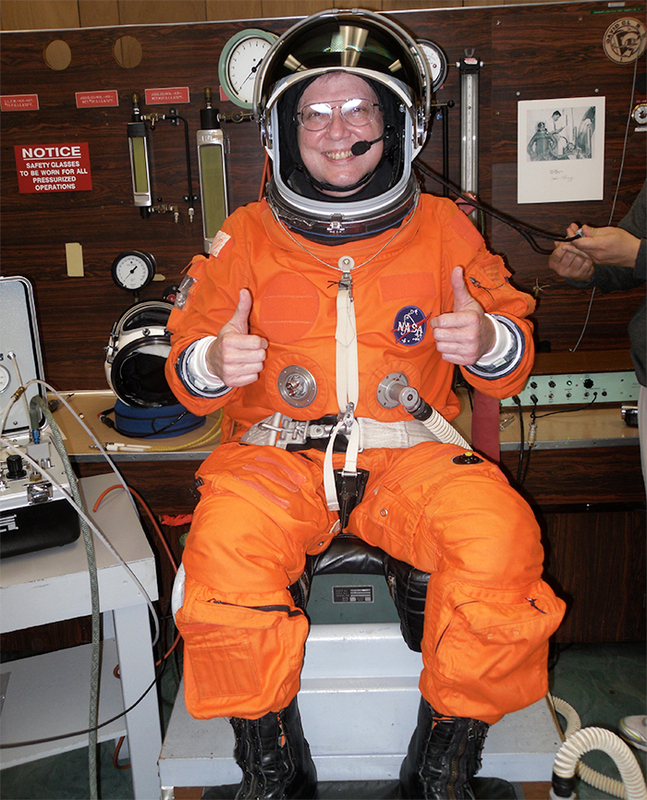 At NASTAR Center, he conducts training for commercial spaceflight participants and suborbital scientists, along with various workshops and summer-camp programs which he has created for teachers and students. Citizens in Space has purchased 10 flights on the XCOR Lynx spacecraft. To fill those flights, Citizens in Space is seeking 100 citizen-science experiments and 10 citizen astronauts to fly as payload operators. Current citizen-astronaut candidates include Greg Kennedy; Maureen Adams, an elementary-school teacher and principle from Killeen, Texas; Michael Johnson, an aviation instructor from Dallas, Texas; Lt. Col. Steve Heck (USAF-ret. ), and Edward Wright. SpaceGAMBIT, a program of Maui Makers LLC in collaboration with space enthusiasts and citizen scientists around the world, has announced its first round of funded projects. In Fall 2012, SpaceGAMBIT received a two-year, $500,000 grant from DARPA, the Defense Advanced Research Projects Agency, to fund work on open-source projects that help build technology for a space-faring civilization. In Spring 2013, SpaceGAMBIT issued its first call for proposals. Nearly 50 proposals were received, from which SpaceGAMBIT selected ten projects for funding. 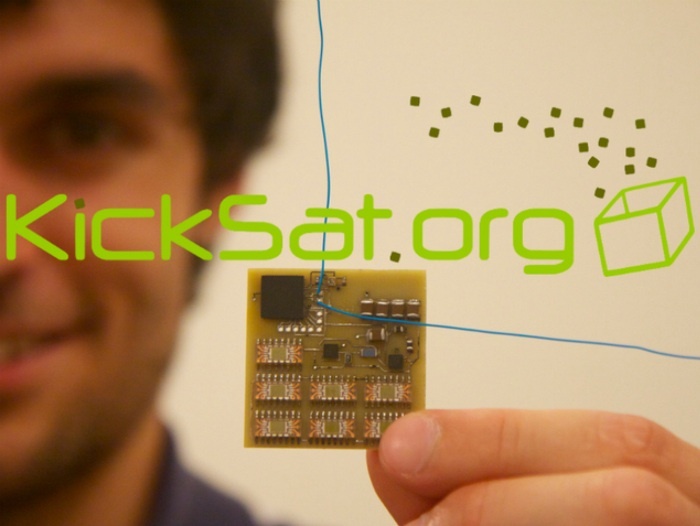 One of the selected projects was the Space Hacker Workshop sponsored by Citizens in Space. SpaceGAMBIT is sponsored by the Defense Advanced Research Projects Agency (DARPA) of the US Government. However, SpaceGAMBIT and selected projects do not necessarily reflect the position or policy of the Government, and no official endorsement should be inferred. Skylab 3 began at 7:11 AM EDT on Saturday, July 28, 1973. One of the major objectives of the flight, which was crewed by Alan L. Bean, Owen K. Garriott, and Jack R. Lousma, was to double the duration of the previous mission. The flight nearly came to an early end, however. During the maneuvers to link up with the orbiting station, Bean reported seeing “some sort of sparklers” out of his window. At the same time, Mission Control noticed a pressure drop in one of the assemblies of maneuvering rockets on the Service Module. Flight controllers quickly decided the rocket assembly was leaking propellant and told the astronauts to shut it down. Skylab 3 continued and successfully docked using the remaining maneuvering rockets. The NASA Administrator will remain accountable to elected officials (and, indirectly, the American people), thanks to a bipartisan vote of the House Committee on Science, Space and Technology. Space News reports that the committee voted 20-19 to accept an amendment offered by Rep. Eddie Bernice Johnson (D-TX), which removed language making the NASA Administrator a six-year appointed position. Rep. Dana Rohrabacher (R-CA), James Sensenbrenner (R-WI), and Stephen Stockman (R-TX) joining with 17 Democrats to pass the amendment. A fixed, six-year term would make it impossible for a President to remove a NASA Administrator for policy reasons. The language was introduced by Republican members who were angry over NASA attempts to cancel the Orion capsule and Space Launch System (née Ares V). It was intended to create greater “stability” by making it harder to cancel NASA programs. Make magazine has an article on 10 Maker Jobs That Didn’t Exist 10 Years Ago. Only one of the jobs comes from space exploration / space development, and it isn’t from any of NASA’s megaprojects like Orion, SLS, or the James Webb Space Telescope. An experiment performed on a parabolic flight aboard a microgravity aircraft suggests avalanche hazards that might influence the design of future asteroid missions. 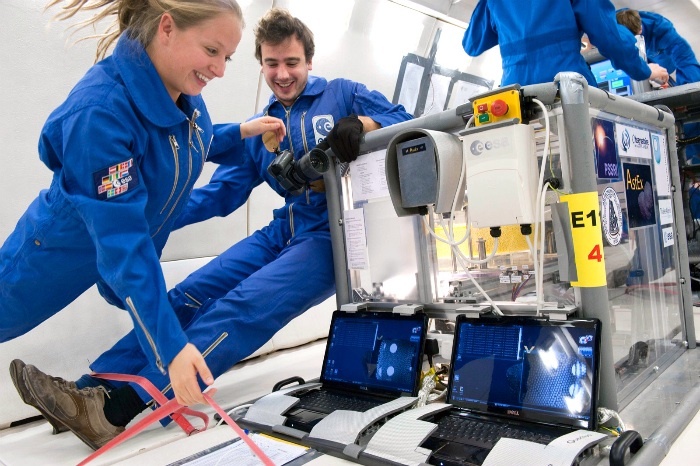 This is yet another example of the value of low-cost microgravity platforms (parabolic aircraft and, in the near future, suborbital spacecraft) for orbital and deep-space operations. The Russian space program has had quite a few failures recently. Nevertheless, the United States Congress seems more inclined to trust NASA’s astronauts to Roscosmos than to US companies like SpaceX, Sierra Nevada, and Boeing which have no experience in human spaceflight (unless you count the Space Shuttle, Mercury, Gemini, Apollo, the X-15, and US portions of the International Space Station — all of which were built by Boeing or heritage companies acquired by Boeing). Congress has used safety concerns as an excuse to slow-march the Dragon, DreamChaser, and CST-100 programs. The Russian space program, however, is exempt from the requirements being imposed on US companies. The reasoning behind this double standard dis inexplicable. You are currently browsing the Citizens In Space blog archives for .